We were very fortunate to collaborate recently with Larry Kim on a webinar where we discussed how to improve your content marketing. Here is a recording of the webinar with Larry’s original post below. I spend a ton of time creating content, not only for our own blog at WordStream, but as a columnist for Inc.com, Social Media Today, Search Engine Land and other industry publications. But you know what? I’ve always spent a ton of time creating content. Had I not felt the burning need to be a data geek, I definitely would have been a writer. Yet my content creation efforts in the last two years have paid greater dividends than everything I had done in all the years before. Quite simply, I learned to marry my two passions – content creation and analytics just work better together. 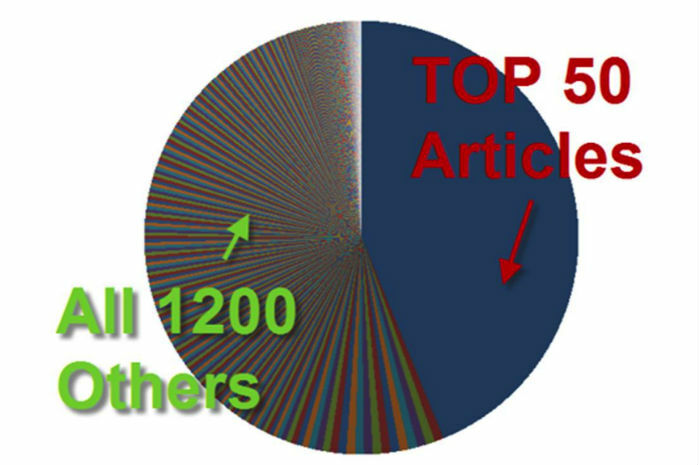 Super popular blogs don’t become that way by accident. That viral infographic all your colleagues are sharing on LinkedIn and Twitter? It was no accident it ended up in your newsfeed, engaged with and endorsed by hundreds of people you respect. Amazing, shareable, popular content answers a need for readers. It’s optimized and discoverable, and promotion is baked in right from the conception phase. Great content isn’t just made – it’s carefully planned and crafted, but then promoted and amplified among influencers and the right audience segments, on the right platforms. All of this is based on content analytics. Even with smart, savvy content strategy based on hard data and not guesswork, a very small percentage of the content you produce will drive the vast majority of traffic to your site. At WordStream, we get nearly a million visitors a month, yet our top 50 articles produce almost half the traffic! How can you create these epic content wins in your own campaigns? In the webinar we go over little-known tactics for tapping into this goldmine of content insight. This is your ticket to building a winning content strategy, based on proven data. Bring a helmet! 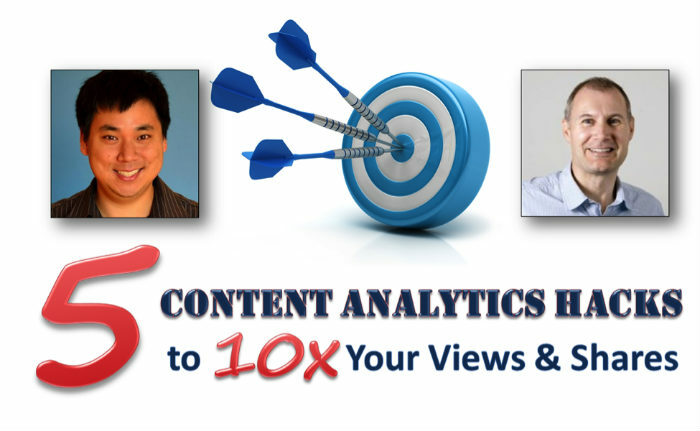 BuzzSumo director Steve Rayson and I are taking you on an exclusive deep dive into big content data.